Whitehorse is the "recreational and cultural oasis of the North" where a warm welcome awaits vacationers and business travelers. 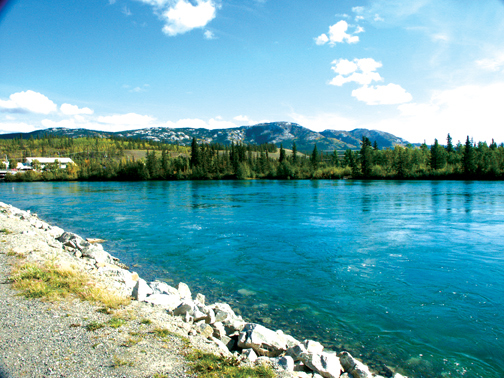 Situated on the banks of the magnificent Yukon River, with a colorful history dating back to the gold rush days of the late 1890s, Whitehorse today provides weary visitors with all the amenities of a southern city twice its size just as it offered refuge for the many tired travelers who sought fame and fortune in the Klondike gold rush days. For those who survived the rigors of Chilkoot Pass and Lake Bennett, the roar of the Whitehorse Rapids was a mighty welcome sound that meant access to some 250 sternwheelers plying the river north. The first rails of the White Pass and Yukon Railway were laid at Skagway in May 1898 and the line to Whitehorse opened in July 1900. Thus this city, marked with profit seekers’ canvas tents and ramshackle log cabins, quickly became the hub of transportation and communication for the entire Yukon mining industry. Access to Whitehorse is not difficult as the city is serviced on a daily basis by major Canadian airlines. Scheduled flights to other Yukon communities and key centres in the Northwest Territories and Alaska are also available on a less frequent but regular basis. For travelers coming to Whitehorse from southern BC, the newly upgraded Stewart-Cassiar Highway provides quick access to the Alaska Highway just 266 miles (400 kilometers) south of Whitehorse. Services on both these routes are readily available and most are open year-round. In addition, scheduled motor coach and freight services are available to all communities along the Alaska Highway. While many people from more southern climates associate northern Canada with long, cold and dark winters, residents in Whitehorse enjoy an average mean temperature higher than Edmonton and northern Alberta. While Yukon winters bring crisp, clean snow to the north, its semi-arid climate receives less than 25 centimeters of rain and snow per year and as much as 19 hours of sunshine per day. Yukoners experience a quality of life that most Canadians only dream about. Whitehorse and the surrounding Yukon River Valley provide an ideal setting for the varied life-styles enjoyed by Yukoners. One of its most unique aspects is the fact that those inclined toward outdoor recreation can find hiking, skiing, fishing, boating and a host of other similar pursuits within minutes of their front doors. For the biking enthusiasts, Whitehorse boasts 35 trails that take you through some of the most beautiful, rustic areas surrounding the city. 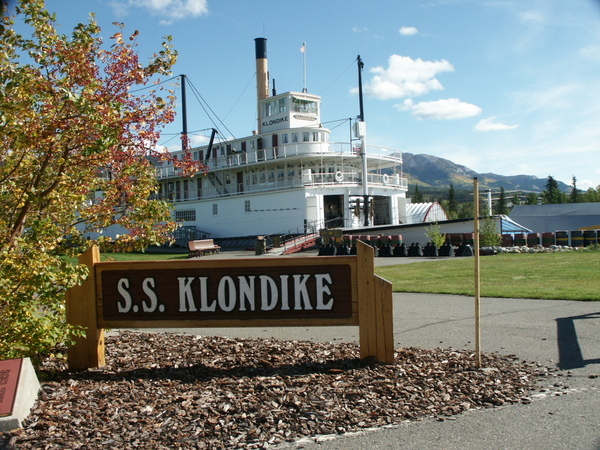 Whitehorse today enjoys much of the same frontier flavor which existed during the turmoil and frenzy of the Klondike Gold Rush, while offering all the facilities necessary for making a stay comfortable and memorable. There are more than 800 hotel and motel rooms from which to choose—rooms that range from very economical housekeeping units to luxurious executive suites. The city offers a wide variety of department stores and specialty shops offering the many crafts of native crafts people whose work reflects the beauty and special resources of the Yukon. Parkas, mukluks, slippers and mittens are carefully fashioned from precious hides and decorated with fur, beadwork or quills. Jewelers seek out gold and precious gems; potters use Yukon clays and minerals; sculptors work mastodon ivory warm with the patina of great age and weavers spin dog hair, using northern plants to dye the soft wool. Designs reflect the landscapes, animals and plants of the Yukon. 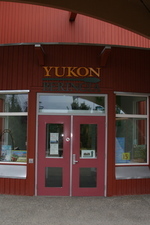 The Yukon is known for its gold and gold nugget jewelry of all styles is produced in the Yukon. Delicate leaf earrings, geometric cube studs and dangling strands are the result of careful attention taken in melting and shaping the precious metal. Tours of the past occur daily in the MacBride Museum and in the fully refurbished SS Klondike sternwheeler. 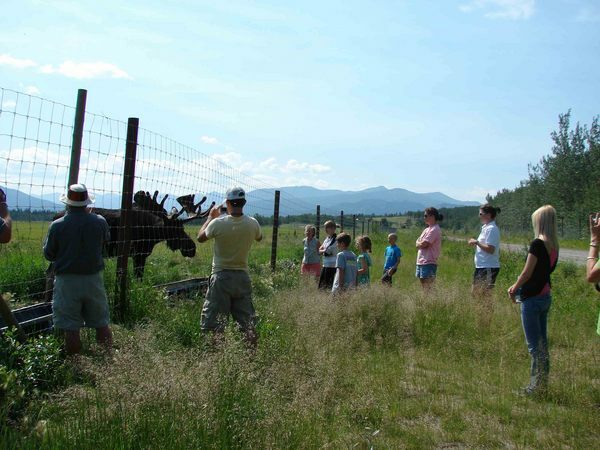 Throughout the summer visitors enjoy horseback riding, swimming in a hot spring and walking along the Yukon River. 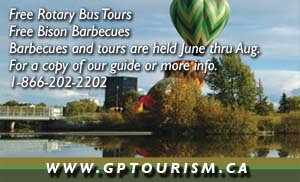 Transportation within Whitehorse is readily available through guided bus tours and a public transit system, as well as private taxi service and car rentals. A 1925 Narrow Gauge Trolley travels the historic Whitehorse waterfront seven days a week, stopping at the White Pass Depot, Rotary Park and the Shipyard Engine Shed. 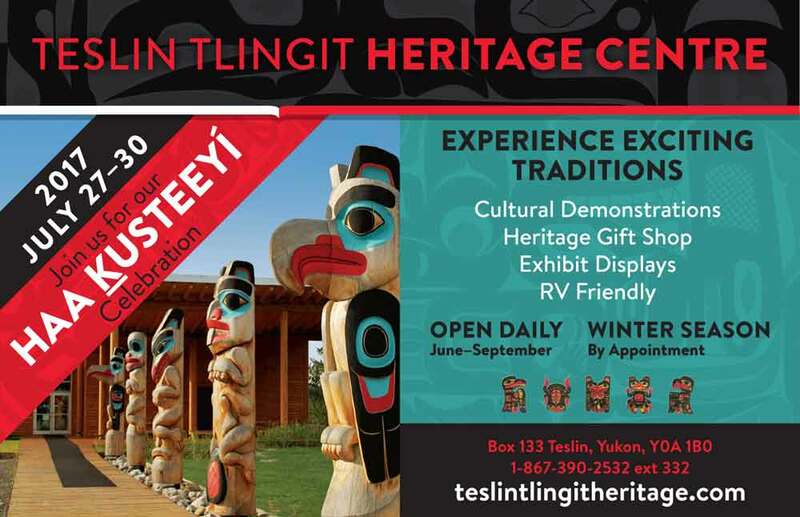 Whitehorse has many museums to choose from, illustrating different time periods in the regions’ history. The MacBride Museum is an interactive facility showcasing the natural and cultural history of the Yukon. The visitor will find a diverse range of northern exhibit themes from the ancient people of Beringia to the Klondike gold fields. The Yukon Transportation Museum has everything from First Nations skin boats, snowshoes and dog sleds to a full-size replica of the Queen of the Yukon airplane. The Old Log Church Museum is an original log cathedral, which is an excellent example of pioneer architecture, displaying early Anglican missionary work in the Yukon. The Yukon Beringia Interpretive Centre offers a unique and exciting look back to an ancient time of mammoth beasts and North America’s first people. Founded in 1997, the Centre provides visitors the opportunity to step back in time to learn and understand the significance of this era. Located just off the Alaska Highway south of the International Airport, the Center is a multimedia exposition featuring life-sized exhibits of animals of the last Ice Age, interactive computer kiosks and dioramas depicting the unique landscape, flora and fauna of Beringia. The Miles Canyon Historic Railway Society seeks to preserve and promote railway and mining history, with special emphasis given to hard rock mining while highlighting local copper mining history. Their mandate is carried out through museum exhibits, train tours, and educational programming. The society operates the Copperbelt Railway and Mining Museum at Mile 919 on the Alaska Highway north of Whitehorse on the edge of an historic copper mining region. Visitors can board the genuine diesel mining locomotive as it rails through 10 acres of natural boreal forest, visit the station museum or relax in the picnic area. Call in at the Visitor Information Centre in Whitehorse to see the film "As the Crow Flies". The Centre has complete information on the many activities available in the region, including information on the world’s longest wooden fish ladder, nearby Takhini Hot Springs and the Yukon Wildlife Preserve. Canada’s highest mountain park—Kluane National Park—is a spectacular mix of ice and snow capped mountain peaks. A great ice field, over a mile deep at its centre, is in constant motion. Dall sheep and mountain goats browse the peaks and overlook river valleys where moose, caribou and bear are at home. Kluane claims the largest interior concentration of grizzly bears and the largest subspecies of moose in the world. Smaller mammals and a variety of birds are also plentiful. Kluane Park is an ideal playground for the truly adventurous—mountaineering, hiking and skiing are popular. Opportunities for photographing the magnificent scenery and wildlife are always abundant. Kluane has been designated a wilderness park so only basic facilities have been developed.